There are many types of bad reviews. Some you can respond to, some you can have removed, and some you can try to push down through a variety of SEO techniques. The Plea for Improvement is a bad review posted by a known customer, under their name or usual username, that outlines a specific solvable problem with your company’s services. This is not so much an attack, as an opportunity. Customers post Pleas for Improvement because they are unhappy, but would rather help improve your company than take their business elsewhere. Responding to this Plea appropriately is your last chance to save the customer. Action Plan: Respond in public and in depth to the customer, describing exactly what your company is willing to do to make it up to him/her, and what actions will prevent similar problems in the future. 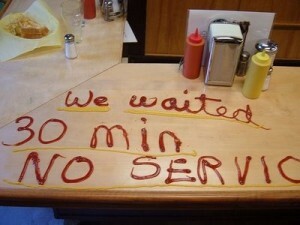 This will let you keep the customer and prevent the loss of future customers. Sometimes, the same customer will keep coming back, buying products, and then giving them negative reviews. Who knows what drives this behavior, but they can end up being more trouble than they’re worth. Action Plan: If you find that you and your staff are spending more money keeping this customer happy than is economical, consider disengaging. This kind of bad reviewer loves attention, and if you only give small. Some people just want to watch the world burn. Sometimes you will get an attack review that does not mention anything specific that could change. Action Plan: Use boilerplate language to thank the troll for their feedback, then move on. If the troll keeps trying to engage, offer more boilerplate. Don’t ban, argue against, or otherwise engage. Soon, the troll will get bored and wander off to hassle someone else. An unfortunate trend in marketing is the use of fake bad reviews to trash competitors’ reputations. This is easy in the Information Age because many programs can mask IP, allowing a single marketer to post reviews with hundreds of aliases. Action Plan: Respond to the reviews on the review site. Stand up for yourself. Explain how and why the alleged problems would never happen at your company. Be willing to engage reviewers if they appear to be in good faith. Then, conduct a campaign against negative reviews. Many review sites will hear your grievances and remove reviews that target you unfairly. Finally, figure out what keywords the bad reviews rank for, and try to bump them down. Create content that ranks for those keywords. Promote review sites to your loyal clients, then help those review sites rank. Above all else, take it slow and calm. If you don’t think you can deal with a streak of negative reviews, hire an SEO consultant who can. No amount of damage from negative reviews can’t be fixed. This is some great advice, I particularly agree with the advice regarding the troll, possibly the worst thing you can do is feed their desire to annoy you. Ignorance is key. Yelp is a great site to learn how to react to negative reviews. I think it’s important to make sure that you address the customer individually and learn the situation before answering. If the service was bad, then maybe it’s time to hire new servers. If a menu item is faring poorly, then it’s time for readjustment. I definitely agree that a negative review should be handled calmly. You wouldn’t want what happened to Amy’s Baking Company seen on Gordon Ramsey’s show Kitchen Nightmares! That’s a really great way to go about saving the name and face of your website/ company. With today’s social media, guys can chew and spit out your company in a matter of seconds. Something that took you a couple of months if not years to build. Great points you shared with us. Will sure keep them in mind.